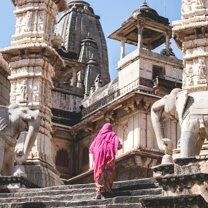 In the vibrant country of India, one oasis of culture and heritage stands out for travelers around the world. 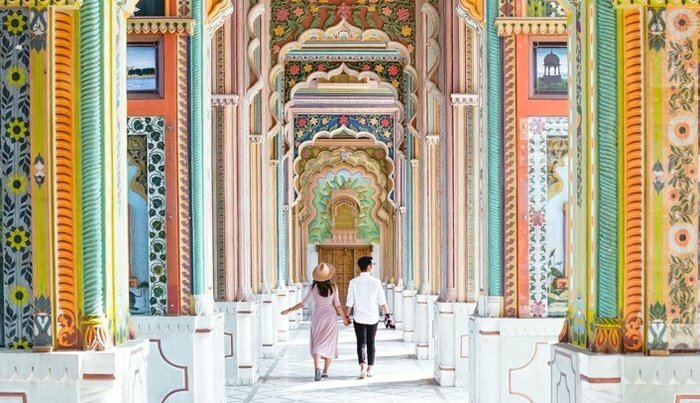 Nicknamed the “pink city”, Jaipur is an explosion of colors and tradition. 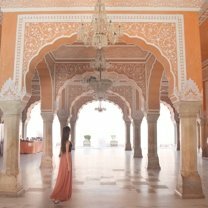 Between the regal palaces and crowded bazaars, discover the beautiful details of Jaipur’s ancient architecture. Around every corner the city’s past bleeds through the modern noise, showcasing the best of India in one enchanting city. 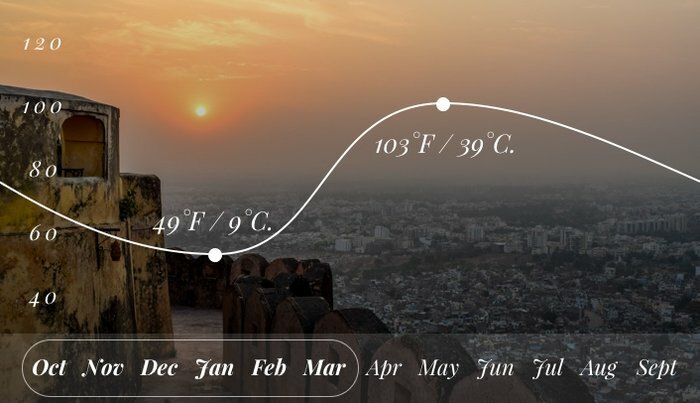 Avoid Jaipur in the summer. Trust us. The city becomes overwhelmingly hot and it’s no fun trying to explore all the wonders while you’re drenched in sweat. 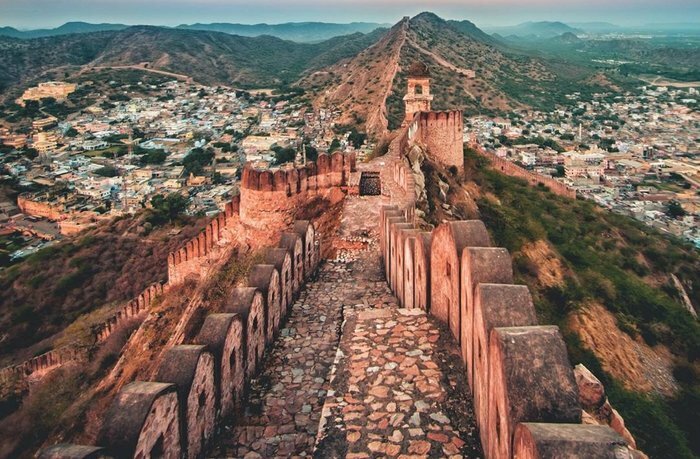 Instead, opt for the cooler months, and be sure to keep in mind Jaipur's many incredible festivals, like the International Kite Festival or the Jaipur Literature Festival. If you do travel in the winter, pack layers, as temperatures can drop dramatically at night. 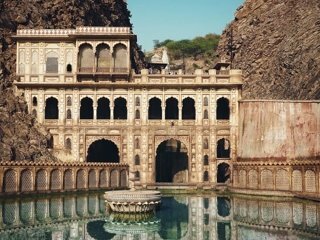 We could spend an entire email diving into the incredible architectural wonders in Jaipur. But don’t you have work to get back to? We’ll just sum up the top sites to visit nice and neat for you. 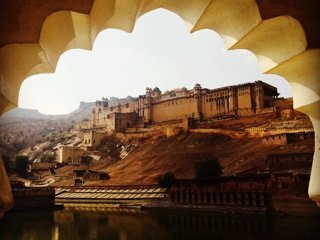 Must Sees: Amber (Amer) Fort, Jaigarh Fort, and Naharghar Fort. Adventurers should also take a day trip to Bhangarh fort, one of the most haunted places in India. 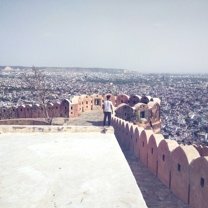 Must Sees: Hawa Mahal (the pink Palace of Winds) and the City Palace, where descendants of the royal family reside today. 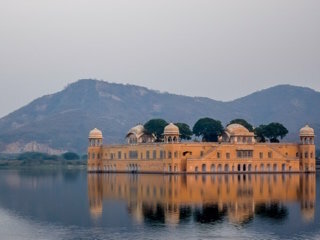 Bonus stop: the floating palace of Jal Mahal. 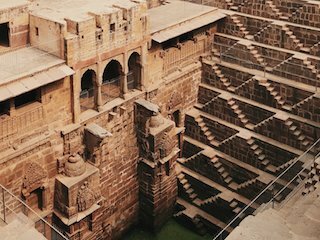 Must Sees: Chand Baori and Panna Meena ka Kund. 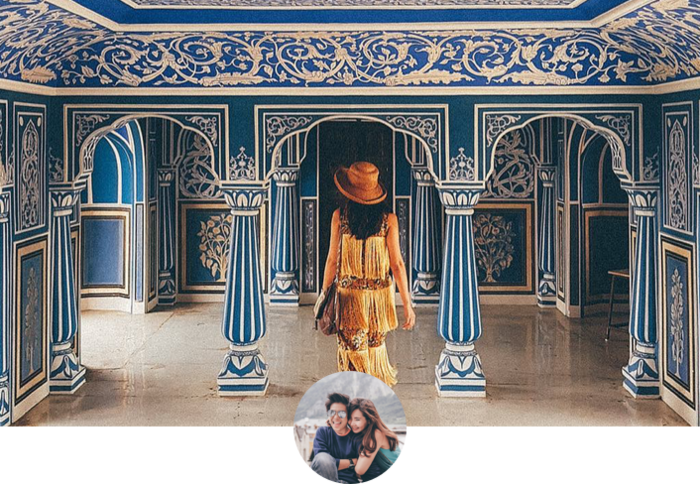 Prepare to be amazed by these intricately-designed step wells. Must Sees: Birla Mandir and Galtaji Temple. Make sure to say hello to the Galtaji monkeys! From delicate, handmade jewelry to brightly dyed fabric with gorgeous embroidery, the bazaars of Jaipur are full of colorful treasures. 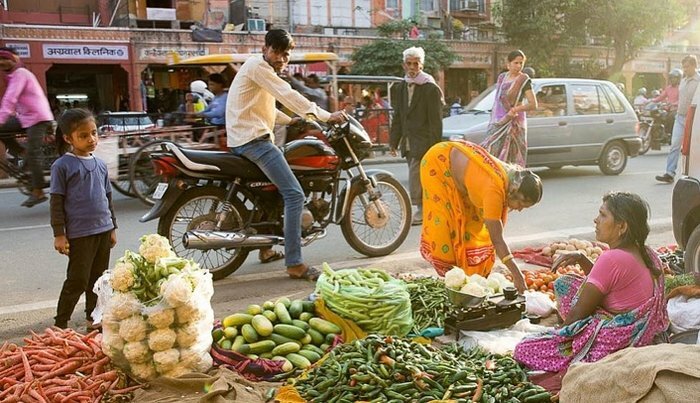 Grab some gol gappe to nibble on while you explore one of Jaipur’s many shopping centers. Our personal favorite is Phool Mandi, the flower market, with its overflowing bags of bright flower petals. Arrive early in the morning to see the local farmers hard at work. 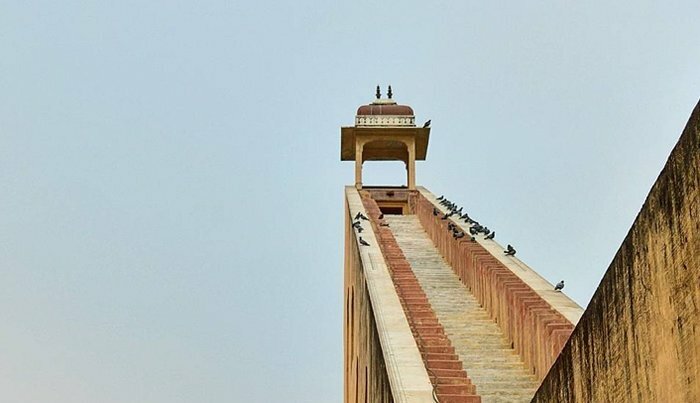 If you think reading a clock face is tricky, then wait until you see Jantar Mantar. This historic observatory has a collection of structures that create the largest stone sundial in the world. Though you can't climb the towers anymore, they can still tell time far more accurately than your Apple watch. 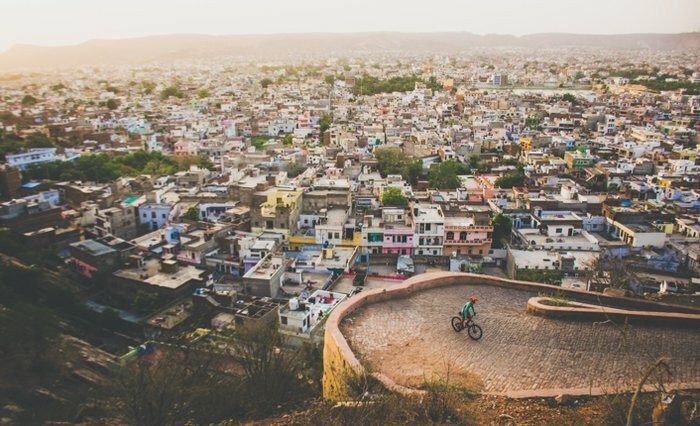 In Jaipur, it’s the little things that matter. 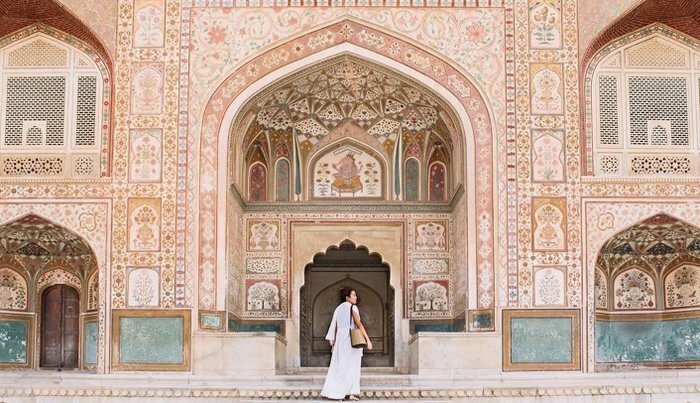 From the mosaic ceilings, to the colorful frescoes, to the intricate designs, this city is a feast for the eyes. The best tip we can offer is to carry your camera with you everywhere, and be on the lookout for these gorgeous little details that bring the city to life. "If you seek adventure, want to see and experience the world in its raw, dignified and colorful glory, visit India. We let ourselves be carried away, saw ourselves as explorers and found a country like no other; a place that changed us from the inside out, broadened our horizons and in a mysterious way gave us a renewed sense of faith in the universe. Sometimes when we were frustrated, tired, or overloaded, India surprised us with a magic moment, with an honest smile, a kind gesture and everything was ok again. 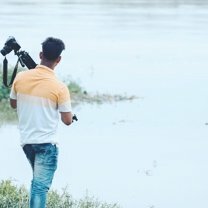 India will surprise you at every turn, every time you blink, you see something extraordinary, something extraordinarily sad, extraordinarily beautiful, extraordinarily challenging, extraordinarily humble." If you like spice, and lots of it, you’ve found the right city. Located in the heart of the desert, Rajasthani cuisine includes plenty of spicy and delicious dishes. From Dal Baati Churma to Laal Maas and Kachori, we could go on for days about the food in Jaipur. 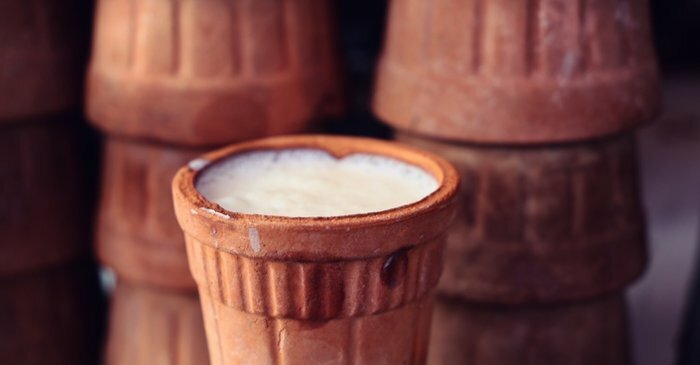 Make sure to try Lassi, a popular drink made from yogurt and spices, at the famous Lassiwala. 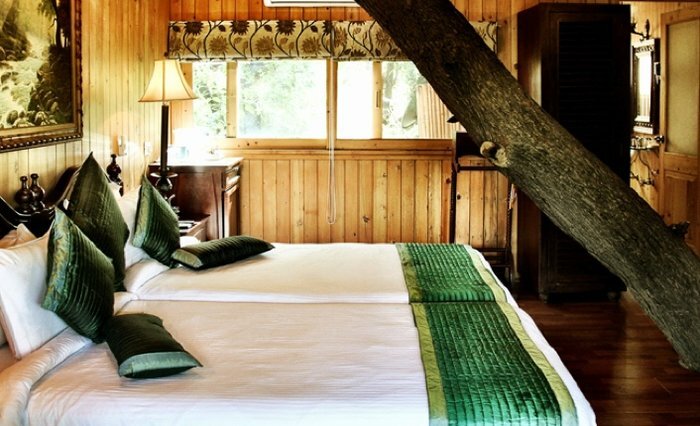 There are plenty of places to stay in Jaipur for budgets of all size, but our favorite has to be the Tree House Resort. Feel like a bird for the night by staying in one of the “nests” perched in a keekar tree. Return to nature in style. 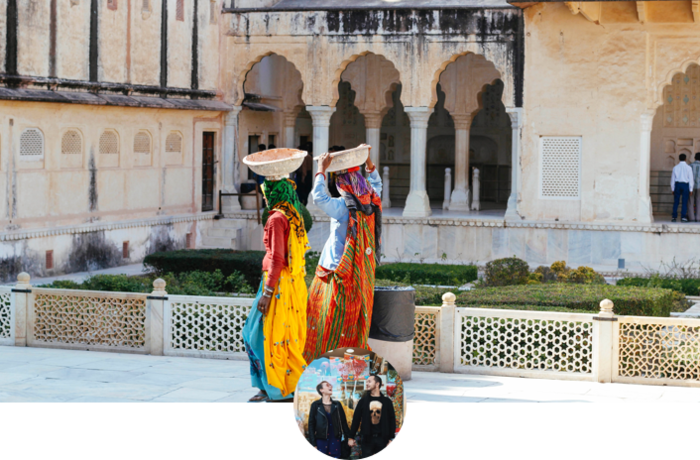 In Jaipur the spoken languages include Rajasthani, Marwari, Hindi, and English. It's always a good idea to learn a few phrases to help you communicate. 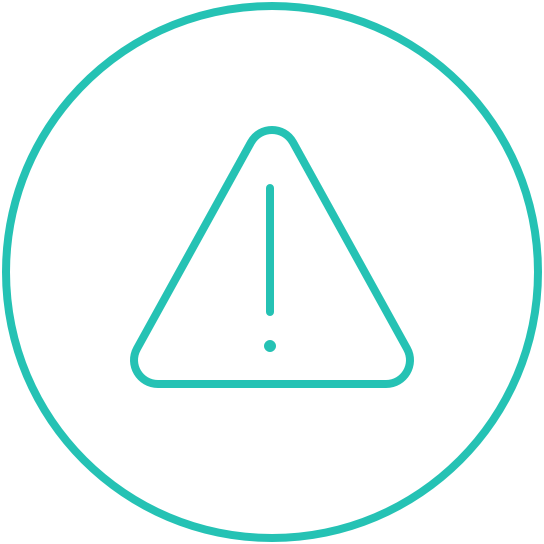 If you’d like a guide to tour you around, beware of scams. 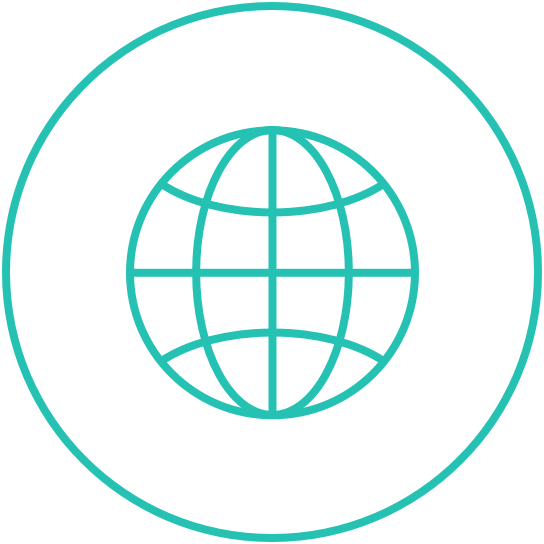 Only hire guides that are recommended by a trusted source, such as your hotel or the tourist attraction itself. You can always ask at the counter of an attraction when you buy your ticket. Ola and Uber are two popular transportation apps that can help you move around the city. 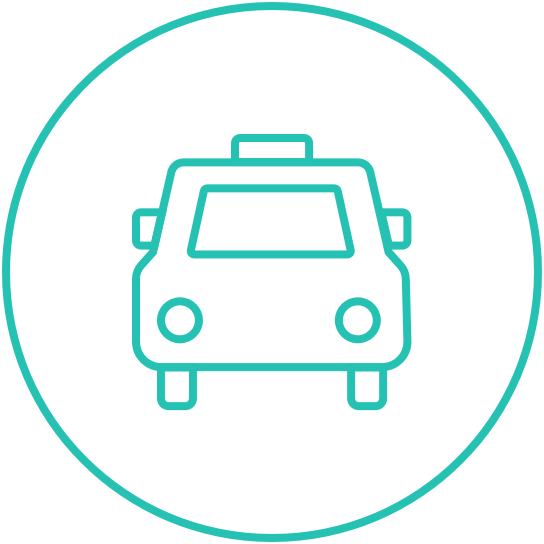 You can also catch taxis and rickshaws, but make sure your driver knows where they are going and that you agree on payment before the ride starts. 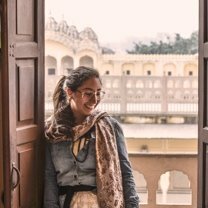 "Jaipur is one of the most beautiful cities I've ever met with lots of history. There are lots of good hotels, cafes and restaurants. 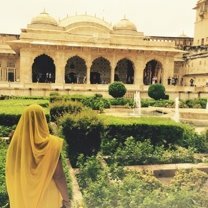 What fascinated me the most is the charming architecture especially City Palace. I enjoyed taking photos of every corner of it. I believe everyone who travels here will be back with smiles and memories."